James & Dawn White and the staff of Le Skintique sadly note the passing of our beloved Edna Mae Sheen, sister, friend and skin care expert. Le Skintique welcomed Edna Mae as our Advanced Skin Care Specialist in 2008. She quietly departed this life on January 20, 2012, perhaps to make Heaven a bit more fabulous. Edna worked for more than two decades in the glamour and advanced skin care industry and transitioned into teaching, production management, purchasing and product marketing. We salute her accomplishments as an Emmy and Academy Award nominated make-up artist and department head for over 100 television and feature film productions. Click to hear our salute! We will always love you Edna Mae! (310) 412-6500 Flowers may be sent here also. 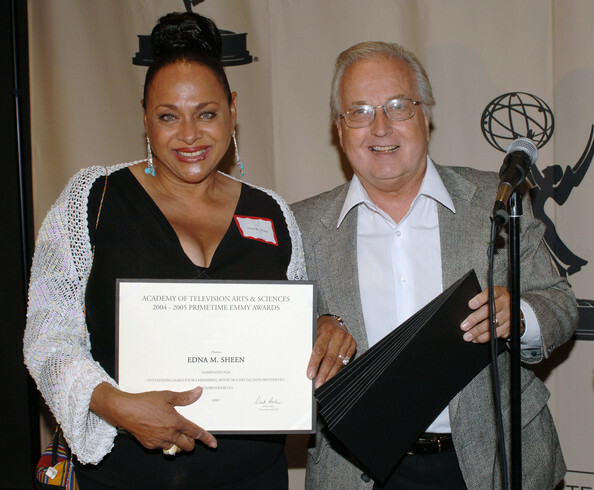 We want to launch a skin care student or make-up artist scholarship in Edna’s honor. Should you like to make a donation to the fund, please make check out to Le Skintique. or leave your info and words of comfort below. My deepest sympathy to Edna’s family for the loss of such a georgeous woman. Edna was always a light and the light in the rooms. I will always have fond memories and remeber her for her smile, her style and of course her striking beauty. I know she’s in a better place and there’s comfort in knowing we will meet again one day. Rest in peace Miss Edna. My hearts goes out to you Dawn & family. Edna will be missed. May God bless & strengthen you & the entire family. “Earth has no sorrows, that heaven can not heal”. We truly loved Edna and she was Family to us all. Condulances to all who loved her so dearly. God granted Edna a sunbeam to warm her, a moonbeam to charm her, a sheltering Angel so nothing could harm her. Laughter cheered her. Faithful friends were near her. And when she prayed, Heaven heard her. I will never forget Edna Sheen. My heart is heavy with the loss of our dear wonderful sister Edna. She and I had just recently run into each other while shopping on two different ocassions. She appeared to be so full of life and energy and wanted me to come by for a facial. She made me look so beautiful when she did the makeup for our film Perfume back in 1987. I will be using a photo on my book cover that she did the makeup for and give her a spcial tribute in my book, “Backstage at The Price Is Right, memoirs of a Barker Beauty”. Edna was my sister and I will miss her terribly. your smiles, chatter and laughter, the words you did say. busy lives we lived but we still was very close together, and showed just how much we.shared………. I feel such a void without my sister. She was someone I could talk to at any time and go to special events with and she was supportive when things sometime look very bleek. I studied classical piano and she is the only one that would always ask me to play the piano and say “don”t let anything ever get in your way of your playing or not performing to the best of your ability.” I love and miss you Sis. May God bless you and keep you in heaven and your sprit will stay alive forever. We all miss you and will pray for you always.